Back in 1979, the world was dancing to Michael Jackson’s first solo album, the Sony Walkman was the height of tech, and the average income was $17,500. Over the years, things have clearly changed for the better but thankfully some things have stayed the same, much to the delight of our clients. 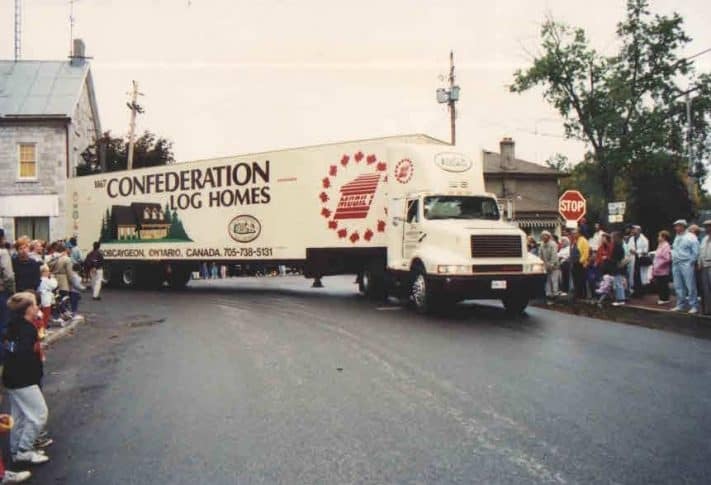 Also that year, a young man walked into a fledgling log home company the owners had decided to call 1867 Confederation Log and Timber Frame and became employee number one. That young guy was Rick Kinsman who over the years rose through the ranks to become a partner and eventually its sole owner. In what sometimes feels like a blink of an eye, today he along with an exceptional team including his two sons, Rich and Andy, are celebrating the company’s 40th anniversary. 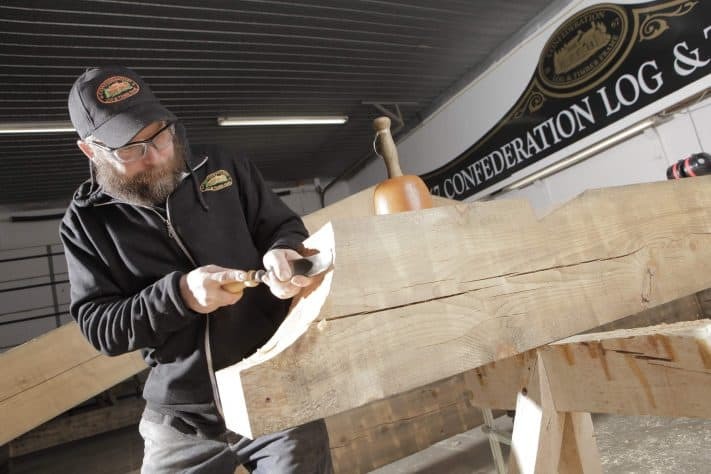 While we’re the first to adopt new technology and modern materials that make the homes we design and create today better and better, many things Confederation was built on — old-school customer service, honesty and integrity — are as solid now as the log homes we built all those years ago. Forty years of anything — life, love or business — is reason enough to pause for reflection and to take stock of what matters. Having this much staying-power is a sign we’re doing something right – and that “something” is working hard to have happy clients. You don’t get to 40-years by cutting corners. Top-notch materials and craftsmanship are cornerstones of our commitment to quality that will make you house-proud. Building your dream home should be enjoyable … heck, it should be fun. Confidence comes from working with a company with a great track record, who will be here next month or next year and whose experience you can put to work for you. Our job is to make your dream come true. Dream homes aren’t dime-a-dozen – it’s your dream and therefore custom. Palatial or cozy, all our clients deserve a home designed just for them. No extra charge; that’s what we do. You deserve an honest quote. You may be buying a log home package, but you’re building a home and we’ll help you with a realistic budget before you commit. No one likes high-pressure sales tactics — exorbitant deposits that handcuff you, “deals” that “end today” and other tactics do not make for happy relationships. Respect for our clients has and will always be the way we operate. There’s a reason you’ll find log homes from hundreds of years ago still standing — they stand the test of time. 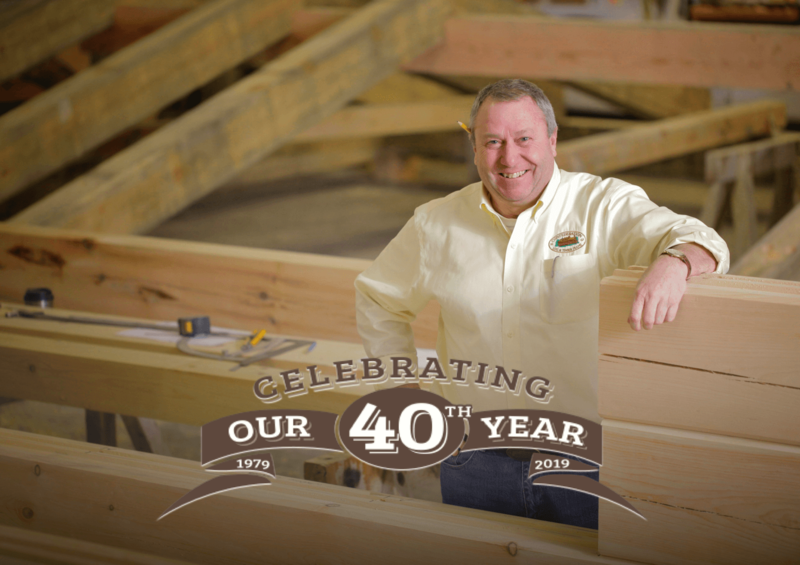 Whether we’re building a cottage or vacation home or your retirement dream home, you can bet we’re using the exact same formula that has kept us growing since 1979 — right down to the craftsmanship that has gone into every home since day one. 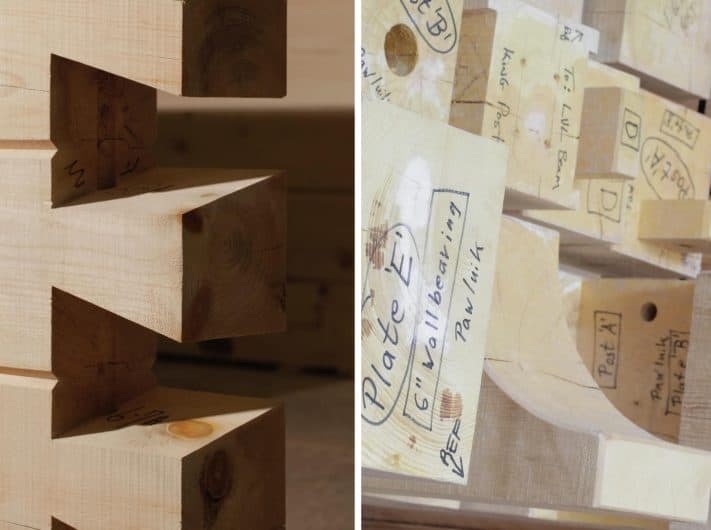 For our log homes, we start with the same superior, cold-climate, northern white pine logs that are milled on the same machines we used when we first started and still rely on a double-tongue-and-groove log system with a triple seal and continuous seal in the dovetail corners to make the shell airtight. As always, we also place through bolts at 6-foot (or closer) intervals to ensure a super-tight shell. What this means, is what made our homes outstanding four decades ago, makes them outstanding today. Craftsmanship like this never goes out of style. When you’ve been in business 40 years, your employees become like family, and your customers do, too. The president of our company, Rick, still visits every build he can to ensure the logs and timbers are started off right. 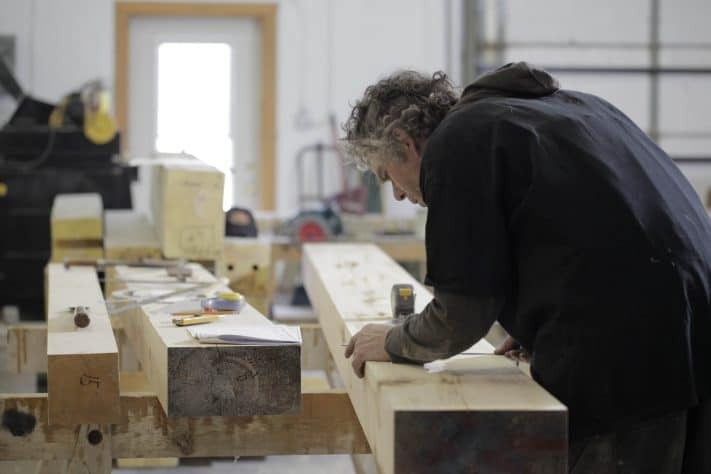 He has personally travelled from Texas to Spain and everywhere in between making sure each one of our clients’ homes are built the Confederation way — exactly the way the customer wants it. And, if you give us a call, you can expect to hear the friendly voice of our receptionist, Sam, just like customers have been hearing for the past 25 years. 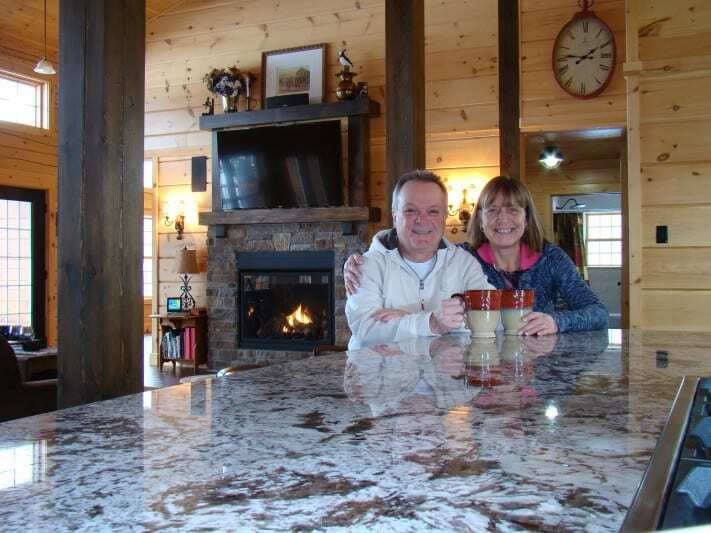 Jim and Michaelle Brass, customers for almost as long as we’ve been in business, were eager to share their log home love story with us. At the time of their build, their little girl was four. She now has nearly-grown children of her own. The couple has always planned for their residence to be their forever home, but now it seems their home’s legacy may last even longer. “My 17-year-old granddaughter has always said she wants to live in this house when she is older,” says Michaelle. The fact the Brass’s home appeals to someone from the younger set doesn’t surprise us at all. Logs and timbers have a classic charm that never goes out of style, especially when combined with up-to-the-minute modern log and timber frame styles and hybrids from our design department. Today, customers are choosing from a range of styles: traditional log homes, transitional styles and modern design. And today we offer timber frame design and construction that appeals to many. And of course there are those minor inventions – the PC and a little thing called the Internet. Today, we’re able to create custom designs and bring them to life in 3-D walkthroughs, sharing them with clients wherever they are in the world in a fraction of the time. Clients today enjoy a level of confidence, knowing their home is exactly what they envision. We never could have imagined that 40 years ago. In the end, longevity is a balance. It’s about not losing sight of what matters to your clients (quality, reliability and relationships) as you embrace new technologies and products that take our dream homes to the next level. After 40 years, we are so grateful to still be doing what we love to do. We’re a family business operating in a small town with a wonderful team that’s been here for so much of this journey with wonderful clients we love to delight. We are truly blessed. All help and no pressure. 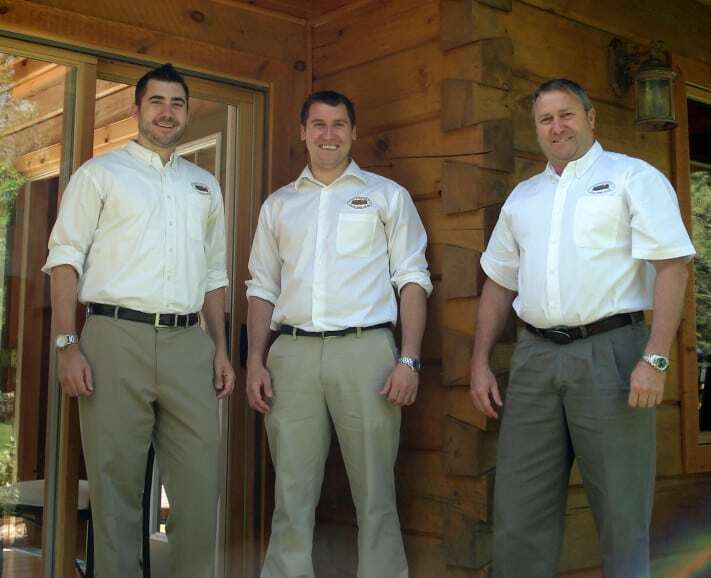 Tell us what you have in mind and we’ll help you get closer to building your perfect custom log home.